Hansen had a problem in 1999. 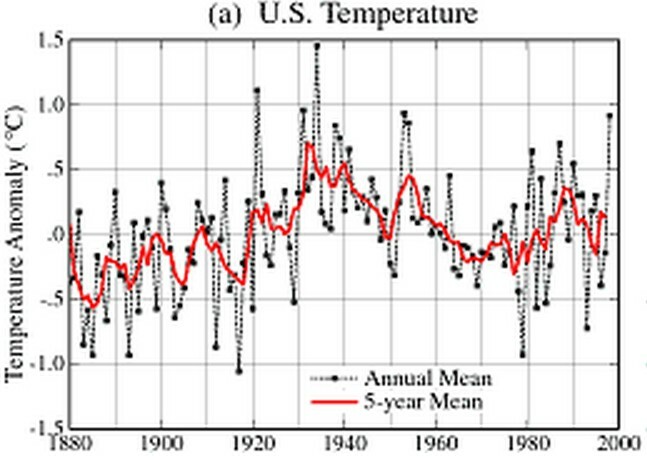 US temperatures peaked in the 1930s and were going down. But not to worry. When you control the propaganda and the data, you can create any story you want. So he created a series of corrections which were the same shape – except upside down. Sadly for Jim, the web archive never forgets. But Jim wasn’t satisfied with the 2002 tampering, and has been steadily increasing it over the years. The next animation shows how the 1930-1999 tampering has greatly increased since 2002. Hansen says the US is headed for 20ºC warming, yet he has to cheat half a degree to produce any warming. They never understood that George Orwell’s Nineteen Eighty-four was a story not a blueprint. Wow. It got cooler in the 1940’s just now. I hope they appreciated it. It really is a shame Hansen, aka a hippie was in charge of do much climate data. 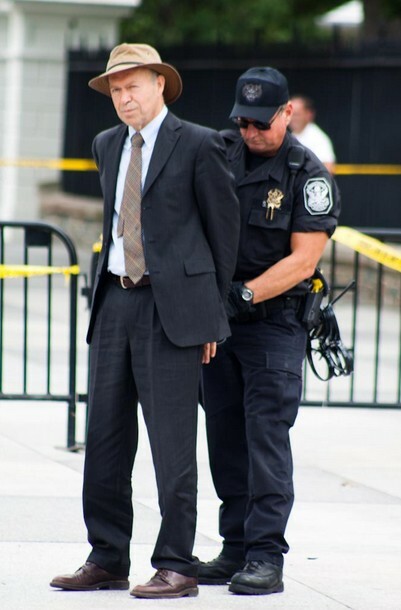 He was arrested 2 times for protesting and the big media outlets did not report on it. If the data does not fit your theory, adjust the data. Some of the pseudo-scientists believe that a theory is an actual fact. Therefore my theory that all deaths are caused by exposure to sunlight must be correct. When there has been huge population growth since the 1960’s around suburban airports, how to they justify cooling the past and warming the present? Common sense would say if they were going to adjust, it should be just the opposite. When the record keepers have a clearly political agenda with big $$ at stake, it is a clear conflict of interests. 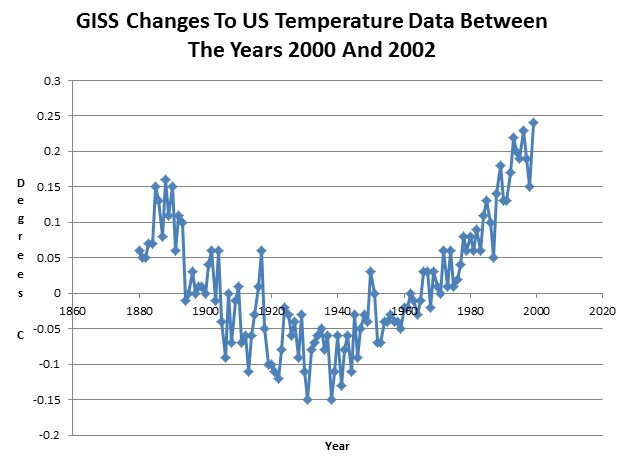 Skeptics need to keep their own temperature records. And Arctic sea ice records. And sea level records. And hurricane records, etc., etc. Anything under NOAA (alarmist) control is WORSE than suspect. In other words, gauranteed to be corrupted! There are only 2 things guvmint does well, the first is “nothing” and the second is lie. And now that the Ha-Ha-Vud Lie School has another pres. who got there on the same old Lie Train I know they are so proud.